Quik Print of Tulsa, Inc. 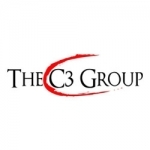 The C3 Group is an award winning advertising agency with extensive experience working with federal agencies, tribal governments and commercial businesses. Federal experience includes public relations, writing/editing, graphic design, media planning/buying, website programming, publishing, animation and video, social media campaign creation, lead generation and digital marketing for several different federal agencies. C3 has also worked with numerous tribal governments and commercial businesses to provide marketing and advertising services. C3 is a graduate of the SBA 8a program and consults businesses interested in federal contracting. C3 has been invited to speak about our success in federal contracting by several non-profits and the Small Business Administration.